Our spacious Tourist Resort built on over three acres of densely wooded land in the heart of Dambulla is meant just for you. Experience the ecstasy of blending into nature in all her variety and glory. Discover your true self and the wonderful world around you. The world's not such a bad place after all. We have 22 spacious super deluxe rooms and well-furnished air-conditioned rooms with all modern amenities including Satellite TV, Telephone, pipe music as well as en-suite bathrooms with hot water and private veranda. Stretch your limbs out and take that long deserved rest you've been logging for. Our state-of-the-art restaurant and bar has all it takes to put you on a culinary adventure you're not likely to forget in a hurry. 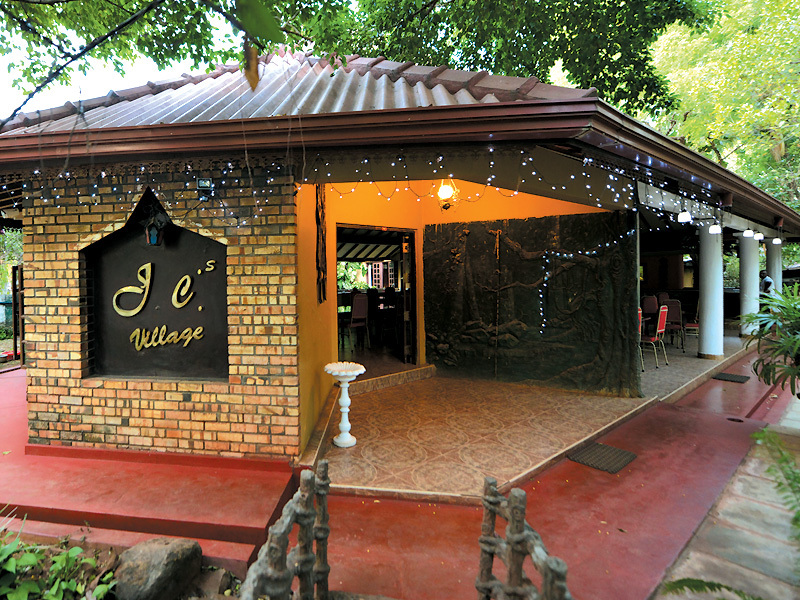 Experience our delicious cuisine, be it Eastern, Western, Chinese or traditional Sri Lankan. Our Master Chefs are experts in preparing the best mouth-watering local dishes designing to give your taste buds a real treat. Your sojourn with us will not be complete without engaging in some sport, Hence our playground and the cricket and football facilities that go with it. If it's a swim your longing for, you don't have far to go. It's right at your doorstep. Take a plunge or enjoy the Jacuzzi. It's all yours for the asking. We also have a special kiddies' corner with swings and a kiddies' pool in case they prefer a dip. If it's real adventure you're looking for, we can arrange tours at your request. Our luxurious taxi service with A/C vehicles will take you anywhere you want to go, particularly the Cultural Triangle sites such as Kandy, Sigiriya and Polonnaruwa.